The spate of disaster events ranging from major to catastrophic that have occurred in recent years raises a lot of questions about where and why they happened. Understanding the history of emergency management policies and practice is important to an understanding of current and future policies and practice. Continuing in the footsteps of its popular predecessors, the new edition of Emergency Management: The American Experience provides the background to understand the key political and policy underpinnings of emergency management, exploring how major "focusing events" have shaped the field of emergency management. This edition builds on the original theoretical framework and chronological approach of previous editions, while enhancing the discussions through the addition of fresh information about the effects and outcomes of older events, such as Hurricane Katrina and the BP oil spill. The final chapters offer insightful discussion of the public administration concepts of emergency management in the U.S. and of the evolving federal role in emergency management. 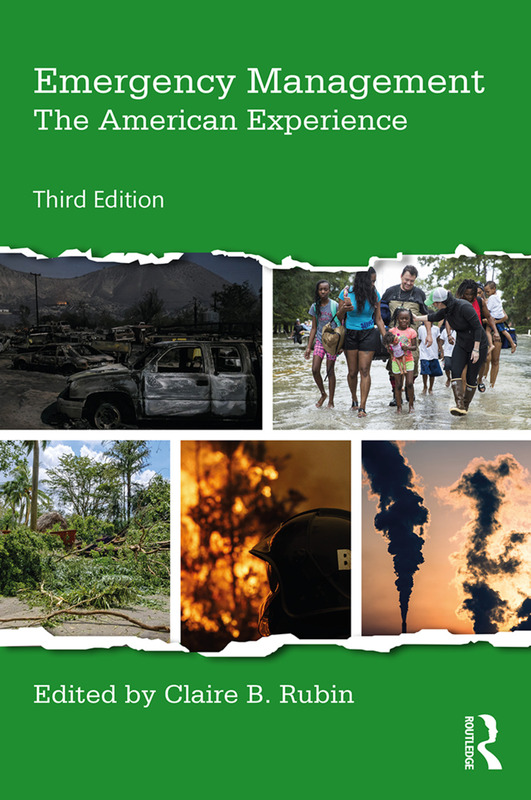 Like its predecessors, the third edition of Emergency Management is a trusted and required text to understand the formation and continuing improvement of the American national emergency management system. Claire B. Rubin is president of Claire B. Rubin & Associates, LLC (clairerubin.com), a small business specializing in disaster research and consulting located in Arlington, Virginia. She is a social scientist with more than forty years of experience in emergency management and homeland security. Her experience includes independent researcher, consultant, practitioner, and educator. She was affiliated with The George Washington University’s Institute for Crisis, Disaster, and Risk Management from 1998 through 2014. In recent years, her firm has produced a variety of educational products and services. She maintains the blog on disaster recovery called Recovery Diva. Ms. Rubin is the author or editor of three books, has written almost 100 additional articles, and has presented numerous lectures on emergency management and homeland security topics. She was the co-founder and Managing Editor of The Journal of Homeland Security and Emergency Management. She holds a BS degree from Simmons College and an MA from Boston University.